Valentine's Day - a day of hearts, Chocolates, Flowers and Celebrations when people express their emotions to their loved ones and most of us send E-cards, purchase special gifts with the help of various Online Shop Sites and many other tantrums making them feel special. While you are busy in Googling ideal gifts for your loved ones, the Cyber thieves are also busy in taking advantage of such events by spreading various malware, phishing campaigns and fraud schemes as these days come out to be a goldmine for the cyber criminals. Online Shopping Scams are popular among Cyber criminals as it is the easiest way for hackers to steal money in easy and untraceable ways. Security Researchers at Anti virus firm - Trend Micro discovered various Valentine's Day threats which are common at such occasion i.e. A flower-delivery service and it appears to be a normal promotional e-mail, but the links actually lead to various survey scams. 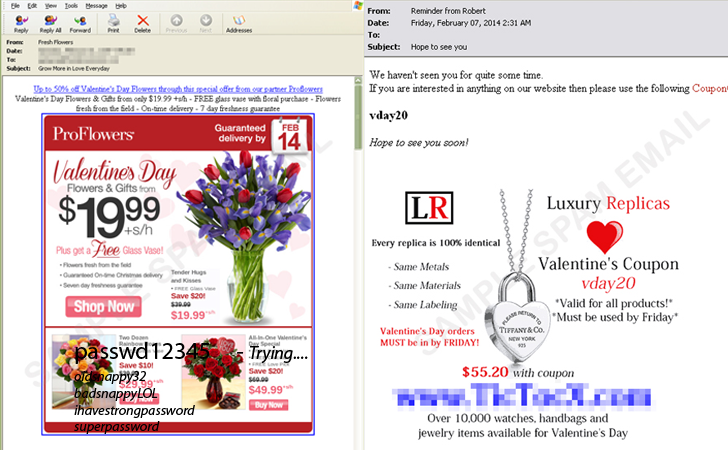 The Malware threats also arrive during this season of love. The researchers recently found a new attack targeting Canadian users looking for a Romantic Dinner Giveaway. The email appears to be about a special Valentine Dinner, and has an attachment which is actually a malicious .RTF file (detected as TROJ_ARTIEF. VDY), using a known buffer overflow vulnerability (CVE-2012-0158) in Windows Common Controls, allows remote code execution to drop a backdoor (BKDR_INJECT.VDY) onto the affected system. This Valentine's Day, with the popularity of Android phones and iPhones, it seems practical to impress your beloved by sending e-cards using various Valentine's Day Apps, but you never realize that despite sending E-cards, you are also inflicting an Android malware on your beloveds which could be worse to your relation. The security researchers from Bitdefender recently released a report, noted how such Valentine's Day apps could demand undue permissions, that could violate users’ privacy, rack up users’ phone bills, and even possibly cause identity theft. The researchers have detected various malware-inflicted apps, one of which is ‘Valentine’s Day 2014 Wallpaper.’ The app records user’s location and his browsing history in the process without having any justification for asking permissions. Another is ‘Valentine's Day Frames’, the app that reads the user’s contacts list, which is logically an odd request because the app is only intended to adorn user’s romantic photographs with Valentine's Day themed photo frames. So what’s the use of reading your contact list for this app? One more, ‘Love Letters for Chat, Status’ which allows you to share love quotes, letters, and even poems to your dearest friends, but the app is capable to send emails, make phone calls, change audio settings, and even modify calendar events without your permission. So gifting this to your beloved may cause an end to you sweet relation. Do not to open emails and click links in wild from unknown sources. Do not run attached files that come from unknown sources, especially these days. The biggest bargains aren’t always the biggest stealing. If an offer sounds too good to be true, it probably is, but if you are making purchases online, then prefer a reputed shopping site and type the address of the store in the browser, rather than going through any links that have been sent to you. 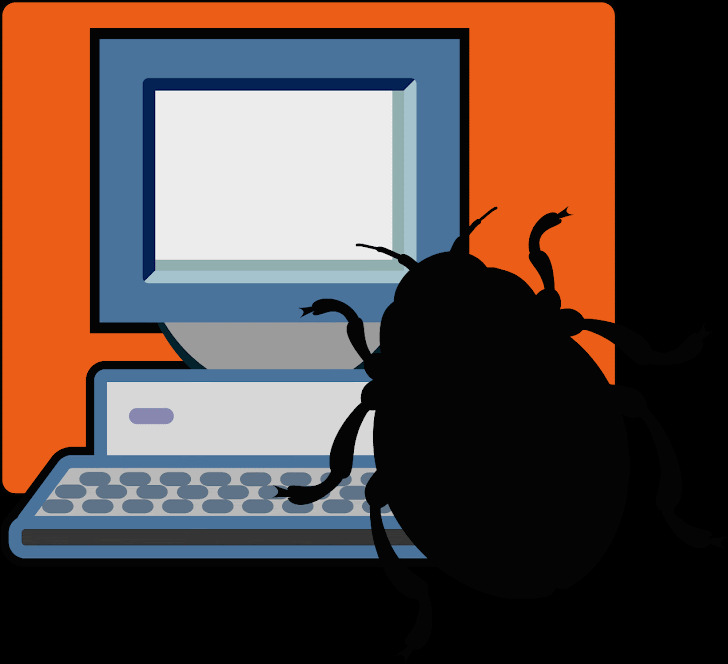 Has an effective security solution installed in your system that is capable of detecting both known and new malware strains. Don’t spread malware... Spread love :) Stay safe! Stay tuned to The Hacker News.